On the last morning at Sea Ranch in February, Sharon and I had a nice 3.5 mile hike along the bluffs. 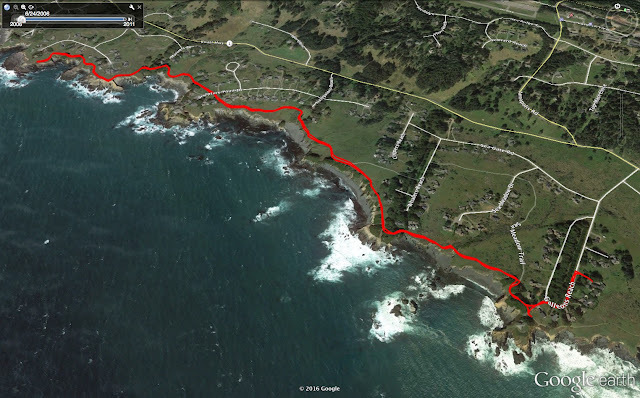 Using data from Runkeeper on my iPhone, I built the following Google Map and view in Google Earth. We passed the Sea Ranch Smugglers Cove historical marker.